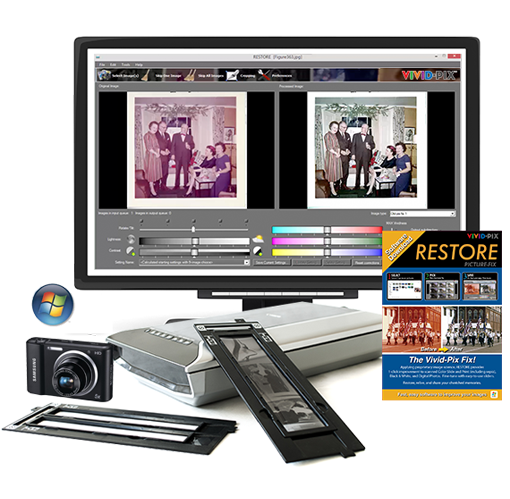 Applying proprietary image science, RESTORE software provides 1-click improvement to scanned Color Slide and Print (including sepia), Black & White, and Digital Photos. Fine-tune with easy-to-use sliders. 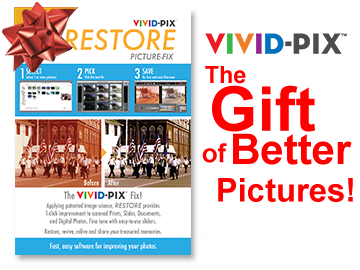 With this fast, easy photo editing software enhance your old and new photos.